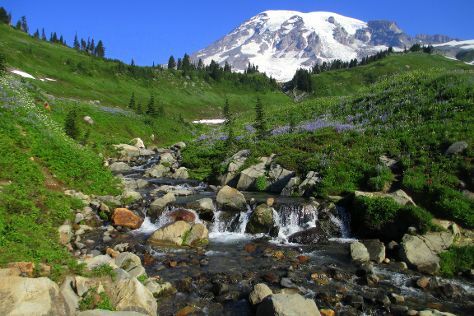 Escape the urban bustle at Mount Rainier and Skyline Trail. The adventure continues: take in the dramatic scenery at Comet Falls, hike along Camp Muir Trail, stroll through Box Canyon Loop, and get outside with Reflection Lakes. For more things to do, photos, ratings, and tourist information, refer to the Mount Rainier National Park tour itinerary builder app . Fresno to Mount Rainier National Park is an approximately 25-hour bus ride. You can also take a train. In May, Mount Rainier National Park is a bit cooler than Fresno - with highs of 67°F and lows of 46°F. 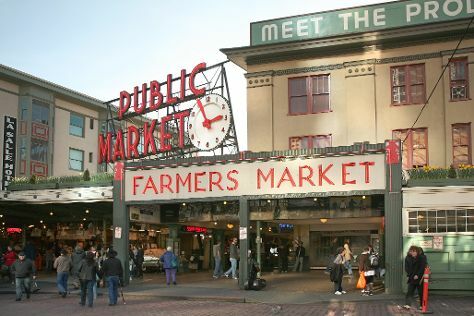 Wrap up your sightseeing on the 21st (Tue) early enough to take a train to Seattle. Do some cultural sightseeing at Pioneer Square and Chihuly Garden and Glass. Christ Our Hope Catholic Church and West Point Lighthouse will appeal to history buffs. And it doesn't end there: shop like a local with Pike Place Market, work some fitness into your day at Discovery Park, take a leisurely stroll along Hiram M. Chittenden Locks, and make a trip to Space Needle. To find more things to do, traveler tips, photos, and other tourist information, read our Seattle trip planning app . Traveling by train from Mount Rainier National Park to Seattle takes 2 hours. Alternatively, you can take a shuttle; or take a bus. Plan for a bit warmer nights when traveling from Mount Rainier National Park in May since evenings lows in Seattle dip to 52°F. Wrap up your sightseeing on the 24th (Fri) to allow time to travel back home.